I had only been to Boise, Idaho on two previous occasions. One, when I was a wee tot and my mom turned the wrong way into oncoming traffic. I can’t really blame her, thanks to a plethora of one-way streets, more sense can be found in a tide pod challenge than the civil planning disaster known as downtown Boise. The second time was in my DJ years. The third time I got to ride in a Creature Craft. I was a headliner at a party in Boise. It was one of the most fun parties I ever played. The crowd was wild and crazy. People werereally into the music. Some more than others. In the middle of my set a girl dancing in the cage next to me asked “Do you want to hit this?”. I passed on the opportunity, but cage girl you do have a place in my memories. The weekend I met the Creature Craft people would mark my 3rd trip Boise. 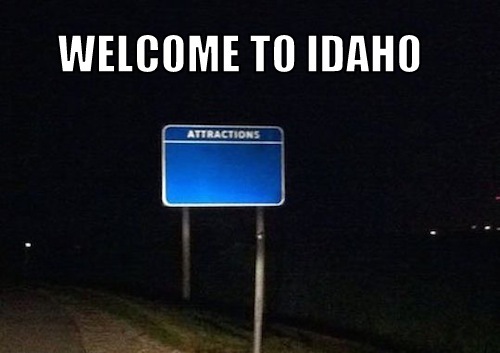 Idaho is a punchline for many people. It really doesn’t spark the interests of people seeking to have a good time. I was impressed by the hipness of downtown, and to be honest, I haven’t seen such a high ratio of attractive women since my time in Kiev. Even though I was there for business, I was able to sneak away and visit the Creature Craft guide training that was held north of Boise. I had been invited to this event by my friend Stacie for the previous two years. After the weekend I can honestly say, I really missed out by not attending. I arrived late on Friday night and everyone was still awake. I got to meet the owners of Creature Craft, some of the testers and a good portion of the Creature Craft crew. They were friendly and welcoming. My first impression is that they were a real class act in the outdoor industry. Saturday morning I helped set up the creatures. We were currently going to run a section of the river that is almost impossible in regular rafts. I guess you could run it in a regular raft, but if someone fell out, which would probably happen, the chance of dying is high. As I sat there strapped in with a velcro seat belt, I was a little nervous. When Brandon, the guy who was rowing the creature, asked me what I wanted to do; barrel roll, flip, turn over etc… my response was pretty conservative, “Let’s just get down the river”. My adrenaline was at its peak just moments before we hit the first rapid. I had been in class V rapids before on a regular raft. This time was different not having any control and not knowing what to expect increased the adrenaline. As soon as the creature collided into the first wave, I felt the stability and all of the nervousness was gone. Laughter and smiles rushed, faster than the water around us, to fill the void. For the next 30 minutes, we only had small sections of calm water, strung together they would total less than ¼ of a mile. The rest was raging whitewater that crashed at us from all sides. While we were at the camp we had the opportunity to meet several people. Many of the people we met saw the creatures and stopped to talk. Darren the inventor of Creature Craft offered people rides down the river and several took him up on the offer. In the outdoor industry, it’s hard to find people willing to go the extra mile. Darren and the rest of the Creature Craft crew proved that they have a passion for what they do, it’s great that they share it with anyone who is interested. My impression that they were a class act remained valid even as I said my goodbyes and headed back to Boise. Prior to this trip, I was greatly considering buying an oar boat or cataraft. 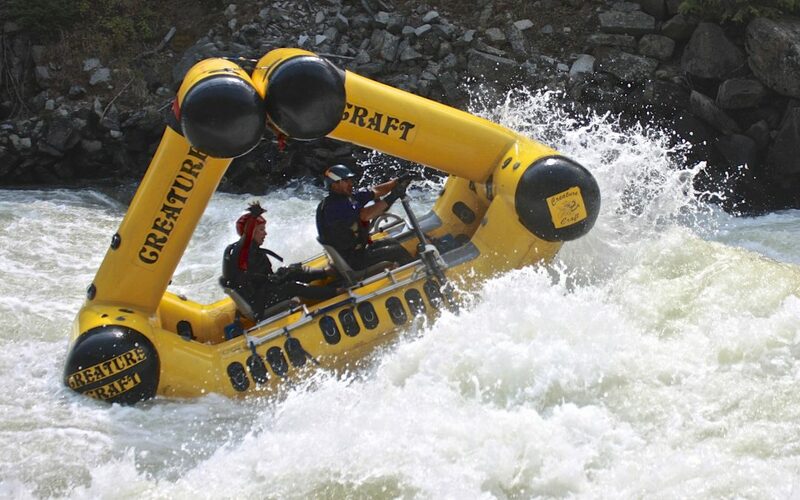 I wanted something that I could use as a gear boat if we ever do a multi-day river trip and something we could use with my daughter on some mellow class II or III rapids. After much deliberation, I decided to get my own creature. Something that I got twice for myself and once for my daughter. If the excitement of running amazing whitewater wasn’t the deciding factor, the hospitality of Darren and his crew were.